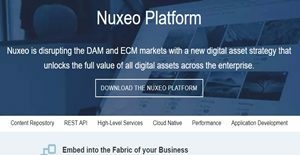 Nuxeo Platform is a feature-rich enterprise-wide digital asset management solution. Its API-based architecture makes it scalable, thereby allowing it to seamlessly integrate with a business’ workflow structure. It is highly customizable and not just in the surface-level. Company developers can dive into its codes and configure the system according to the organization’s needs. With Nuxeo Platform, there is no need to worry about getting left behind by the times. The system is built for extensions and future technological developments so companies can keep abreast with the latest innovations. Nuxeo Platform is an out-of-the-box content management solution with scalable engineering. The solution is on-premise but it has cloud connectivity, allowing developers and team members to handle cloud assets natively like local files, giving them more room for flexibility. As an open source program, Nuxeo Platform provides its users the utmost flexibility in designing their own system. The platform’s API-first architecture renders it highly customizable so it adapts and works for a company’s needs. Nuxeo Platform is always ready to upgrade. Whenever there are new advancements in digital asset management technology, company developers can easily integrate those into their existing system. This saves them time in creating an up-to-date platform since they do not have to build a modernized platform from scratch. In addition, there are over 150 plug-ins to choose from that bare numerous extension points. This further gives companies more room to utilize every aspect of the platform and create a system that works for them. With Nuxeo Platform, companies’ developers and creative teams can double their working speed. The system is scalable and is able to increase its processing speed to offer the maximum output. This way, organization members increase their productivity rate without sacrificing system performance. Despite being an on-premise system, Nuxeo Platform is able to connect with cloud services and enable users to access them from the system like local programs. This extends the service’s functionality and streamlines work processes as users do not need to launch multiple cloud-based programs just to access their repositories. The platform’s REST API allows developers to create integrations and connections with a limitless amount of third-party applications. This makes companies more efficient, as they are able to access several programs from a single interface. Furthermore, collaborating with other team members using different kinds of programs is made easier and more streamlined. Nuxeo Platform comes integrated with Elasticsearch. Having this model inside the system allows users to quickly find the files they need in a deep repository. This saves them time from wading through huge amounts of data and spend most of their efforts creating new media instead. If you are considering Nuxeo Platform it could also be beneficial to analyze other subcategories of Best Digital Asset Management Software collected in our base of B2B software reviews. Every organization has different wants and needs an application that can be customized for their size, type of employees and clients, and the particular industry they are in. For these reasons, no platform can proffer perfect tools out-of-the-box. When you search a software product, first be sure what you want it for. Read some Nuxeo Platform reviews and ask yourself do you need basic features or do you need advanced features? Are there any industry-specific functionalities that you are looking for? Obtain the answers to these queries to help your search. There are lots of aspects that you need to mull over and these include your finances, particular business needs, your company size, integration needs etc. Take your time, use a few free trials, and finally choose the app that offers all that you require to boost your firm competence and productivity. How Much Does Nuxeo Platform Cost? Nuxeo Platform is an open source content and digital assent management solution. Therefore, it is free. However, premium support, training sessions, and consulting services are offered to interested users upon an enterprise pricing fee. We realize that when you make a decision to buy Digital Asset Management Software it’s important not only to see how experts evaluate it in their reviews, but also to find out if the real people and companies that buy it are actually satisfied with the product. That’s why we’ve created our behavior-based Customer Satisfaction Algorithm™ that gathers customer reviews, comments and Nuxeo Platform reviews across a wide range of social media sites. The data is then presented in an easy to digest form showing how many people had positive and negative experience with Nuxeo Platform. With that information at hand you should be equipped to make an informed buying decision that you won’t regret. What are Nuxeo Platform pricing details? What integrations are available for Nuxeo Platform? Nuxeo Platform has a REST API and flexible architecture that allows developers to integrate it with an endless stream of third-party services. The system also has a feature that connects it with cloud-based systems such as Google Drive, DropBox, One Drive, Box, Salesforce, Adobe Creative Cloud, and more. If you need more information about Nuxeo Platform or you simply have a question let us know what you need and we’ll forward your request directly to the vendor.